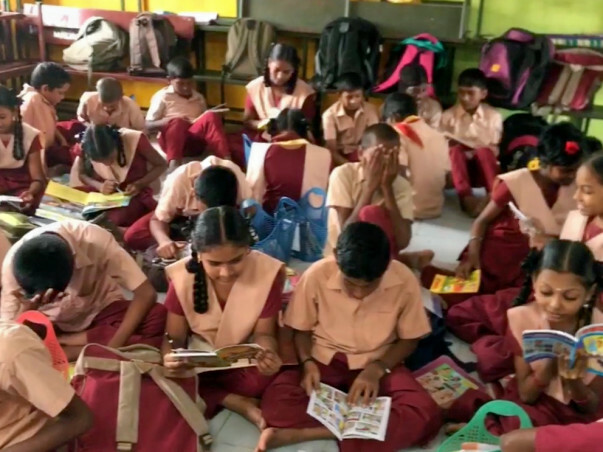 Here at Taramani, we do a lot of projects and I think we tell the kids it for them to learn or excel, but really it’s because we want to leave them independent and enabled enough to create their own outcomes— a privilege we think everyone should at least have access to. Our dorks, well they’re in 6th, 7th and 8th. Soon they won’t have Teach for India, which is fine, because we trust they’ll be the superstars they were born to be no matter what they encounter BUT before we leave, we want to leave them with access to resources and structures that will allow them to continue to learn / have fun the ‘Teach For India’ way. At home, our kids parents (though they are wonderful) well, they can’t read or write English. Invested parents make their kids study, but those with really tough jobs and lives often fail to keep track of their kids and stupid teenagers will always be stupid teenagers. So BASICALLY we want to create a community centre where our kids can access the vast TFI library we’ve built and RC tests and all of the study material we’ve amassed through the years. Also though, CHSS Taramani doesn’t have an extra curricular program or even a sports ground. So our kiddos spend their whole 8 hours of school chained to the same bench and that’s just plain exhausting. So we’d like to find dancers / singers / artists and sports players in the community to provide my kids with a healthy and creative outlet for all that pent up energy. If you’ve made it to this point, congratulations! Your RC must be great! But seriously, help us help these kids. We couldn’t explain it to you in any other way than these children are the best humans we’ve ever known and you could help them not only escape their circumstances, but in all likelyhood change this goddamn world — because we’re 9000% sure that’s what our lil’ dorks were born to do.